Christmas is coming early this year for me, as I was the recipient of some generous gifts by fellow bloggers yesterday. I’ve only been blogging here since September, so I am deeply touched and grateful for these gestures. Today also marks my twentieth post and the 2000th view of my blog. First, the postman delivered a cardboard tube containing beautiful flower prints from artist Jill Rosoff. Jill ran a contest on her blog Fresh Off the Drawing Board a while ago and I was one of the winners. No matter how lovely her artwork looks online, the prints in person are spectacular for detail and subtlety of color – she sells them through Etsy. Can’t wait to frame and hang them! 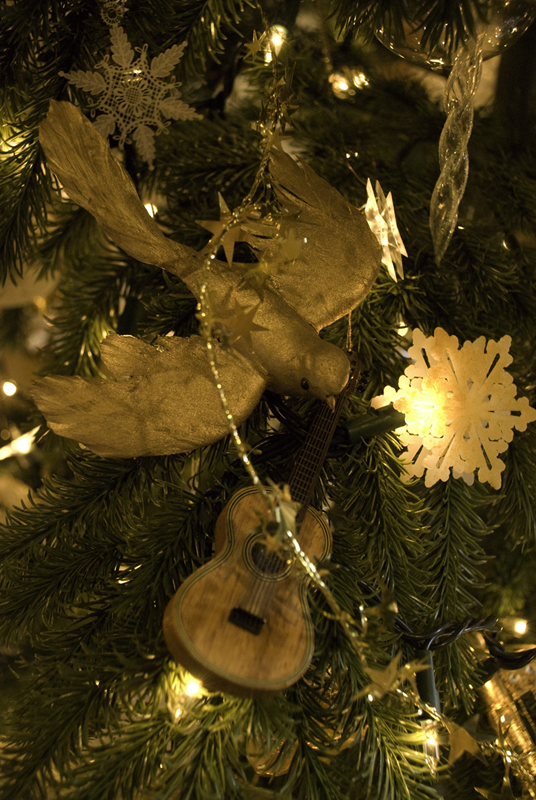 Then Frank, of A Frank Angle, embedded the video of my song Christmas In My Heart in his latest blog post, On A Time. Frank is a fascinating man of diverse interests including music, mathematics, economics, and ballroom dancing among other things. Always something of interest on his blog and his was one of the first that I began to follow. And finally, Rastelly, an intriguing poet and artist, awarded me the Kreativ Blogger Award – visit her site for wonderful stories and beautiful original artwork. This is my first “blogger award” and I am deeply touched. Rastelly has been a frequent visitor here and has been a champion of my video of Father Christmas. I did a little research on the award and found a variety of guidelines for the response (Rastelly warned me there would be “homework”) so I’m going to follow a moderate response. The guidelines include 1) posting the award image; 2) listing ten things about myself that my readers probably don’t know; and 3) passing on the award to at least six (sorry, I did 5) other bloggers of choice. So . . .
1. 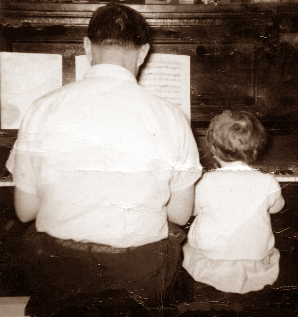 I started picking out tunes on the piano at age 18 months; here’s my Dad and me at an early jam session. 2. Albert Schweitzer is my hero. He was a professional musician and a renowned scholar of Bach who became a minister, then a doctor. He restored many historic pipe organs in Europe, then played concerts on them to raise money for his hospital in Africa. His Reverence for Life book continues to influence my life. 3. My parents bought a small farm when I was 13 so that they could garden organically; my first “crop” was popcorn! That is where I learned to garden. 4. I love scifi and fantasy/fairy tales. Favorite authors include Ursula Le Guin, Sharon Shinn, Tolkein (of course), Charles De Lint, Jane Lindskold, and many others as well as the traditional Grimm and Anderson fairy tales. 5. My family once revived a drowned chicken by mouth to mouth (beak?) resuscitation. 7. 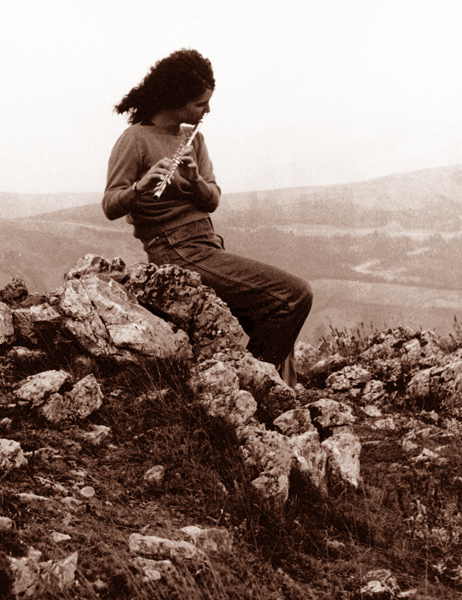 I played my flute at dawn on a mountaintop in Turkey. (photo courtesy of my husband) I could only bring myself to play in the key of E flat, as it felt that the mountain would quake or slide if I played in any other key. Really. 8. I have an ongoing fascination with math and science, particularly with Fibonacci numbers and quantuum physics. Physicist Brian Greene has a gift for explaining the complex to non-physicists and his father was a musician – I’m in the middle of his The Elegant Universe. 9. I once got a fortune cookie fortune that read “Make friends with technology and your future is assured” – pretty specific, yes? Three years later, I began teaching music technology. Who knew that these fortunes come true? Elizabeth Yon of The Lone Writer is a gifted writer and poet, with a sensitive, intricate, and mysterious style. She also posts beautiful photos; I linked to her “Sweet May” post last week, a wondrous tale of a tree and the queen of storms. Eleanor of how the hell did i end up here? tells a great story with a combination of high hilarity and touching pathos, so that you will laugh and cry in the same breath. She’s on “blog vacation” for Christmas, but check out her past posts and look for new ones after the holidays. If you need cheering up, read Are You Havin’ a Laff? Kerry of Lightscapes Nature Photography Blog shoots the most light filled inspiring landscape photography that I have ever seen. Each photo is more beautiful than the next and he also shares his exploits in traveling to find the perfect photo. Photography is all about capturing light and Kerry is a master. Paul of A Blog is a master of iPhone photography. Not only does he have intriguing photos, he shares some apps that can make it all happen. There is a huge movement in iPhone photography (the camera you always have with you), so this is of the moment. Henrik Fink Nilsson of Photographica (“I am an explorer of the abandoned and beautiful, searching for patterns, shadows and the abstract”) is also “on break” for the holidays, but I encourage you to visit his photography blog and explore the images there. It is a revolving mix of wonderful photos of his son and very edgy manipulated photos of urban/industrial subjects; his point of view is unique and I am always intrigued by what he is doing. To my readers and followers – I came for an audience and found a community. Thank you for bestowing the gift of friendship and encouragement. May you have a beautiful holiday season and a thrice blessed New Year! Peace. For more Christmas or seasonal music, see Father Christmas or Winter. Enjoy! This entry was posted in Blogging, Garden, Music, Science, Technology and tagged "Brian Greene", "Jill Rosoff", "organic gardening", "The Artist's Way", albert schweitzer, blogging, Christmas, christmas in my heart, creativity, Father Christmas, fibonacci, Kreativ Blogger Award, photography, poetry, quantum physics by composerinthegarden. Bookmark the permalink. Congratulations. It’s well deserved. I always enjoy reading and often find inspiration! Thanks, Paula, you always have an encouraging word! I just bought a telephoto lens, partly to get some better bird photos – I always love to see yours. Have a wonderful New Year! Oh, wow, all this is wonderful! Congrats! And happy new year too! Thanks, Katie! I’ve been loving your photos these past few weeks-Happy New Year! Congratulations on your first award, probably first of many… interesting points about you/your family and I like what you said at the end about wanting an audience but finding a community. The blogging community is fantastic and very supportive. The gift are out for you and your guest here. Merry Christmas! Frank, you are SO generous; visitors, I encourage you to track back to Frank’s blog for a festival of Christmas videos, including my own “Father Christmas” – enjoy! My only problem is that when I open your blogs I want to have time and peace, so I wait………………and then get behind…………I finally could not wait for the universe to align and read this one as part of my family left to go back home…………still have not sat with any of it, but now I have a taste of what awaits me when I do, and I look forward to it! Gifted, talented and a good friend, whom I miss is how I would describe you! Ah, Cindy, so good to hear your voice! Take your time, these posts will still be here when you have time, and peace 🙂 A blessed Christmas to you, my friend. You are MOST welcome, it was my pleasure to send more folks your way. Eleanor, enjoy your vacation! You certainly deserve the award; your posts stay with me each week and I look forward to your return. Have a wonderful Christmas! Thanks, Lynn; I’m humbled by the nomination and your extremely kind words. Kerry, you are a master of light in the landscape, an easy choice! The same to you, Elizabeth; you deserve all honors! Thanks for my present from you for mentioning my humble spot in the blogosphere. More importantly, thanks for sharing your gifts with us. 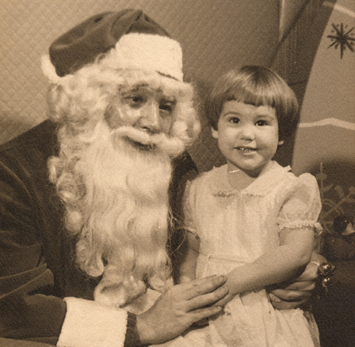 Merry Christmas … and I’ve got to get my Christmas Eve post ready (I’m behind schedule). Frank, I think that you touch so MANY folks here and you have certainly led me to many great blog spots. Have a WONDERFUL Christmas and thank you for all that you do! Lynn – I am honored. I have thoroughly enjoyed your talent for the written word. Merry Christmas. Paul, the honor is mine; thanks for all of your visits here and yes, I expect to “up my game” on the iPhone by the end of next week! Merry Christmas to you and your family.